Leading up to the 2011 National Football League season, NFL players and owners were locked in a heated stalemate of a labor negotiation that threatened to cancel the coming season. Player salaries accounted for half of the League’s costs. Meanwhile, the NFL held $4.5 billion in television contracts, and the networks owed that money whether games were played or not. Cancelling games was a money-making proposition for the League – meaning the owners had all the leverage. But through well-executed campaigns on Twitter and other social media, the NFL Players Association (NFLPA) managed to win public opinion – and with it, a satisfactory deal. In their recent talk at the WOMMA Summit, George Atallah, Assistant Executive Director of External Affairs for the NFLPA, and Domonique Foxworth, NFLPA Executive Committee and cornerback for the Baltimore Ravens, shared how social media helped to resolve the NFL lockout. For television networks, NFL football is a money machine. During the ‘08-‘09 season, 20 million people per week watched the NFL on TV. Of the top 100 TV broadcasts in 2009, 75 were NFL games. Networks that had a relationship with the NFL didn’t want to lose it, and networks that didn’t were hungry to start one. It was therefore against the interests of most networks and their reporters to present the League in any negative light, says Atallah. Many players already had Twitter accounts for connecting with fans and building their personal brands. Their large follower networks provided a place to publicly present their opinions, and spread them enough that the news media couldn’t ignore them, says Foxworth. First, players and player advocates posted op-eds online containing their side of the dispute. These articles were retweeted by other players and fans for massive reach, and having garnered enough social attention, many were eventually reported on by the major news outlets. 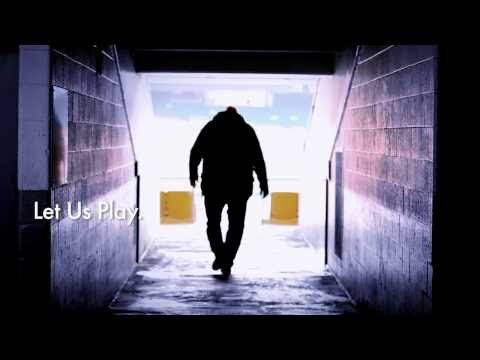 The NFLPA even produced a potential 2011 Super Bowl ad. The ad carried the players’ campaign tagline, “Let us play,” and featured players and fans alike demanding that the League end a potential lockout. A 2011 Super Bowl ad cost $4 million, and as expected, CBS denied the NFLPA a spot. Players used this to their advantage, tweeting links to the ad with the teaser, “Watch the Super Bowl ad CBS and the NFL don’t want you to see!” The ad quickly gathered thousands of hits, and made headlines (blog subscribers can click here to view on YouTube). During negotiations, both sides were under non-disclosure agreements, bound not to reveal details discussed. Information about proposed agreements inevitably leaked, and often the details were misleading or flat-out wrong. “I’d get calls from guys asking why we turned down a deal with so-and-so percent… guys who needed a livelihood and just wanted to play,” says Foxworth. This misinformation could’ve turned players against their NFLPA reps, undermining their ability to get a deal done effectively. To combat this, Foxworth and others used Twitter to let other players know when details reported weren’t accurate. These tweets were shared by players and fans, and helped correct inaccurate news reports and sway public opinion. Under the old agreement, the League got $1 billion off the top of all revenues ($9 billion) for expenses, leaving a new amount the contract referred to as “total revenues.” Players then got 57% of these total revenues. With the owners’ 43% plus the $1 billion expense allowance, players and owners effectively split all NFL revenues 50-50, according to Atallah. In the proposed new agreement, players would get a lower share of total revenues, leaving them less than half of overall NFL revenue. The NFLPA posted articles online and used Twitter to educate the public on the true breakdown of revenues. Players tweeted that the situation was not a player strike, but an owner lockout. Once revealed, the public generally found the existing even revenue split fair. Now, if an NFL representative claimed players got the majority of total revenues, reporters were journalistically obligated to question them about the players’ claims of an even revenue split. Social media gave players an outlet to share their ongoing side of the lockout story. On August 5, 2011, the NFL and NFLPA signed a new collective bargaining agreement, ending the lockout without cancelling any regular season games. There was much more to the resolution than a few tweets, but winning fans created leverage for the players that the League couldn’t ignore. In the NFL lockout, social was key in moving the chains. Twitter is powerful and big brands can successfully ignite a loyal fan following!